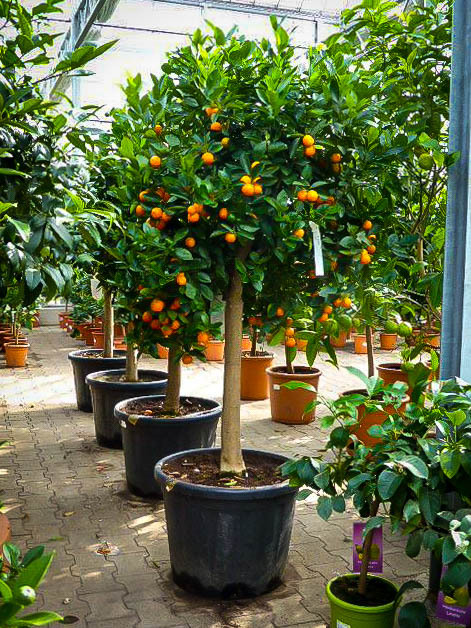 A Calamondin Orange Tree is the perfect tree for anyone who wants to enjoy the beauty, sweet floral scent and colorful fruit of a citrus tree but who doesn’t live in a very warm area or have a lot of room. 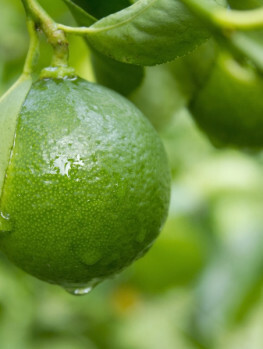 It grows into a small tree and is hardier than most other citrus trees, surviving temperatures as low as 200F. It also makes an great plant for a pot on a balcony or terrace or outside your front door, as well as being ideal for a sunny location right inside your house during the winter. The small orange fruits are used like lemons in drinks or cooking and you will love the unique flavor. This is a tree that is really easy to grow and because it is small it will not overgrow even a small garden, or become too big to bring indoors for the winter. It is a tough tree too, with few significant pests or diseases and thrives with minimum care. It can be grown in a large pot for years, bringing it indoors for the winter and growing it outdoors during the rest of the year. In a pot this tree will stay around 6 feet tall, but will grow much taller in the garden. 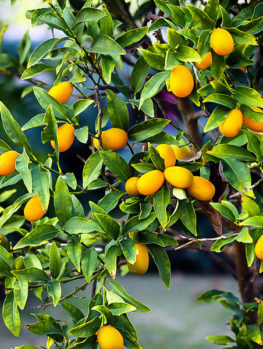 The Calamondin Orange Tree is the easiest citrus tree to grow. 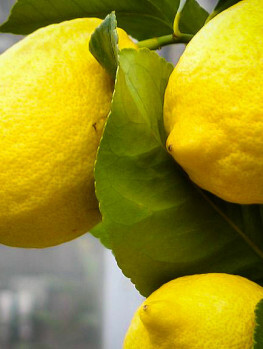 It is an ideal choice if you want to grow a citrus tree, but have no room in your garden – or even if you have no garden at all. 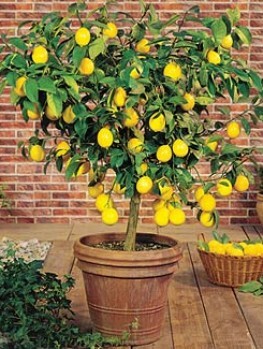 It is the perfect citrus tree for growing in a pot, and can even be grown as a bonsai. It will stay small and compact in a pot but in the garden it may reach 25 feet if left un-pruned. The Calamondin Orange is native to China, but it has grown for centuries in Indonesia and the Philippines. It is also widely grown in Hawaii and the Caribbean. It was introduced into Florida in 1899 by Dr. David Fairchild of the famous Fairchild Gardens in Florida. It is often called Citrus mitris, but today its more correct name is xCitrofortunella microcarpa. Although called an orange the fruit tastes more like a lemon and it can be used wherever lemons or limes would be used in drinks, with fish, in pies and cakes. It also makes excellent preserves and marmalades. Perhaps the best thing of all is that this is the hardiest citrus tree there is; it will survive temperatures down to 200F, which means it will grow outdoors all year round in warmer parts of zone 8. With just a little protection from a porch during the coldest weather it will grow throughout zone 8 and of course if you have a sunny spot indoors for the winter it can be grown anywhere at all. 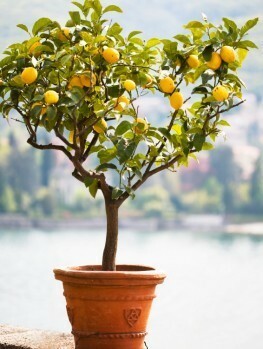 Since it grows so happily in a pot, anyone at all can own a beautiful citrus tree no matter where they live. It will be beautiful all summer long outdoors and can come inside in cold weather, where the fruits will stay on the tree until needed, making it a beautiful temporary houseplant. Not only is this tree hardy, it begins to flower and fruit when just a very few years old, so you will be enjoying its tangy fruits almost immediately. 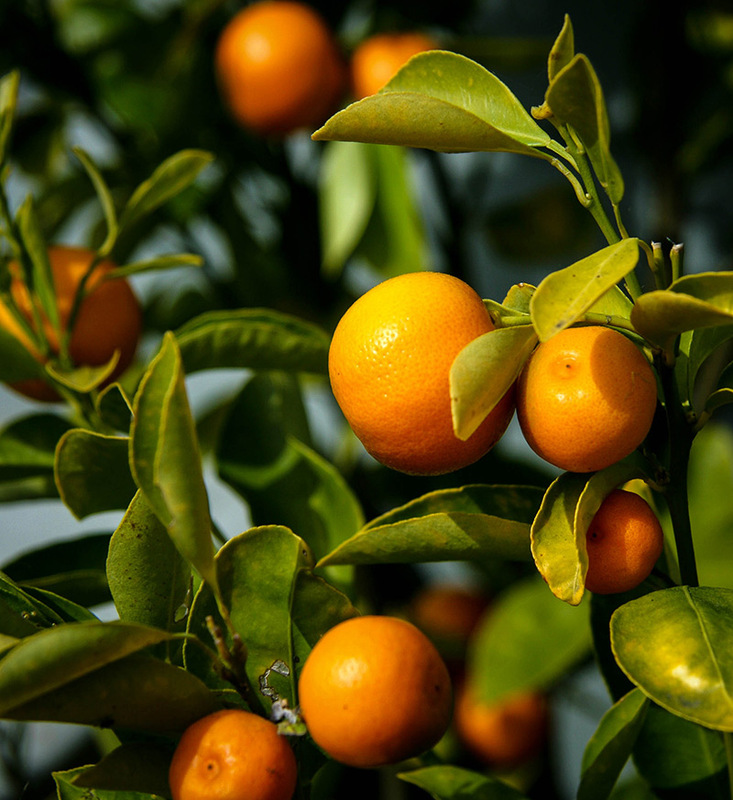 It is quite drought tolerant and although all citrus can suffer from pests, the Calamondin is one of the toughest, so with a very little care your tree will always be healthy and beautiful. 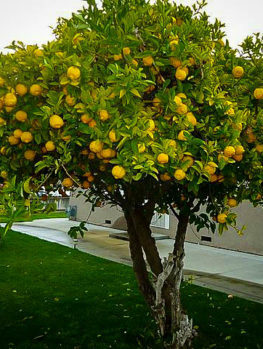 Outdoors, your Calamondin Orange tree can grow to 25 feet, although with pruning it can be kept much smaller. In a pot it will grow perhaps 6 feet tall and with pruning it will grow in a pot indefinitely as a small tree with a trunk or as a shrub, depending on how it is pruned. The evergreen leaves are a beautiful glossy deep-green and just 1½ to 3 inches long. The flowers are large, almost an inch across and are in small clusters towards the ends of young branches. They are very fragrant, with a beautiful sweet perfume. The fruits are about 2 inches across and green when first formed. When ripe they have thin, fragrant, orange peel and juicy orange flesh that is almost seedless. The skin is easy to peel and edible. The fruit is very juicy and acidic like a lemon. The tree will produce a crop of new leaves in spring, accompanied by flowers, but flowering may happen every couple of months and it is common to have flowers and fruit at the same time on your tree. Fruit takes most of a year to mature and is at its best during the winter months. The best flavor occurs when the fruit has turned orange but is not fully ripe. 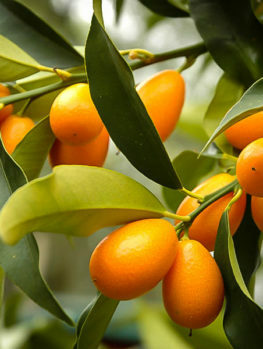 The Calamondin Orange Tree will grow outdoors from the warmer parts of zone 8 through zones 9 and 10. In cooler areas it can be grown outdoors but needs to be kept in a sunny place indoors when the temperatures are close to or below zero. If you only experience periodic low temperatures, this tree can be kept in a cool, dark place for up to 2 weeks without shedding leaves or fruit, so temporary protection from frost is very easy. Outdoors it prefers sandy soil with plenty of organic material, but most soils that do not stay wet for long periods will be suitable. Choose a sunny spot for your tree, but a little shade will be tolerated. Dig a hole three times the width of the pot and plant your tree into soil that you have enriched with organic material. Put back most of the soil and then fill the hole with water. When it has all drained away fill the hole with the rest of the soil. Put rich organic mulch over the root-zone of your tree each spring. For pot growing, use a normal potting soil and fertilize regularly with a balanced plant food. Make sure the pot has a drainage hole and always water until excess flows from the drainage hole. Do not leave your tree standing in a saucer of water. Let the soil become a little dry before watering. Dry and pulpy fruit indicates that the tree is not receiving enough water. If your tree does not flower, let the soil go dry until the leaves roll up and then water well. Flowering will be triggered and will occur within 2 months. 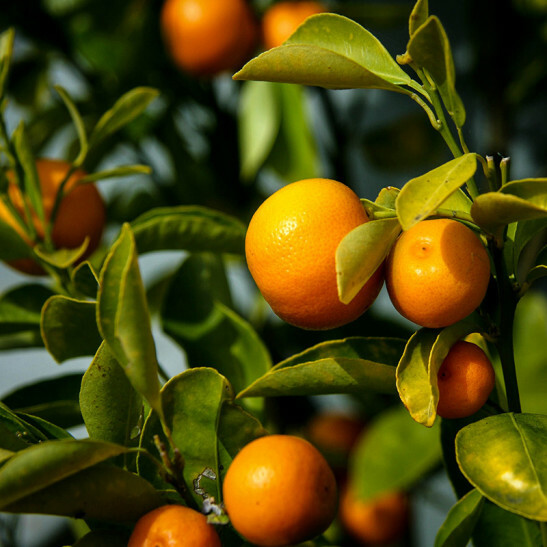 The Calamondin Orange tree is a special plant and cannot be replaced with other citrus trees that do not have the same properties that make this tree so useful. So make sure you avoid cheaper plants that are not the correct tree, as they will only be a disappointment. We sell only trees that are true to the original form and we give you the best plant for your purpose. However, we are constantly renewing our stock to give our customers fresh, healthy plants, so supplies of this tree may be limited. To avoid disappointment order now.